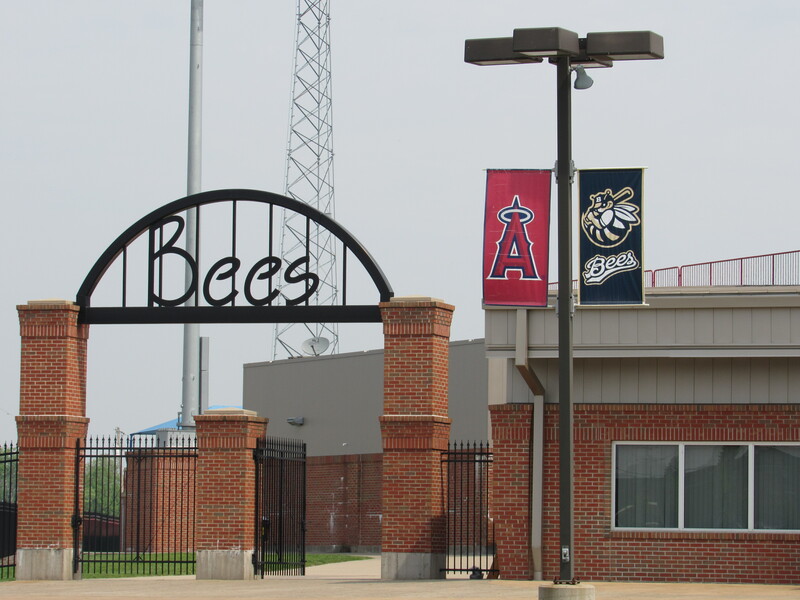 The Los Angeles Angels announced their minor-league coaches for the 2017 season Thursday, including those for their Midwest League affiliate, the Burlington Bees. The Bees field staff will include two familiar faces, manager Adam Melhuse and pitching coach Jairo Cuevas, and a new hitting coach, Travis Adair. This will be Melhuse’s second season as a manager, after leading the Bees to a 68-72 record last year. He played eight years in the major leagues, appearing in games for the Oakland Athletics, the Colorado Rockies, the Texas Rangers, and the Los Angeles Dodgers. He was an advance scout for the Chicago Cubs before joining the Angels organization. Cuevas also is entering his second season with the Bees. He served two years as a lower-level pitching coach before being assigned to Burlington. He pitched for seven seasons in the minor leagues — five in the Atlanta Braves system, one in the Kansas City Royals organization, and one in the independent Frontier League. Adair joins the Bees after spending last season as the hitting coach for the Angels’ rookie-level affiliate, the Orem Owlz. Last year the Owlz collectively hit .298, the second-best team batting average in the Pioneer League. Adair played six seasons of minor-league baseball for three organizations, the Braves, the Rangers, and the Baltimore Orioles. This entry was posted in Burlington Bees, Frontier League, Midwest League, Orem Owlz, Pioneer League. Bookmark the permalink.